White Admiral (Limenitis camilla). 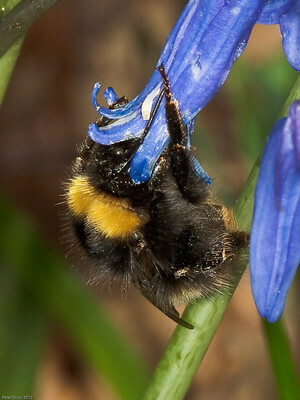 Found in woodland throughout southern Britain and much of Europe and Asia, extending as far east as Japan. 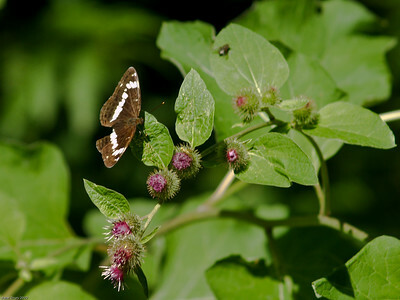 The adults may be seen from mid/late summer. 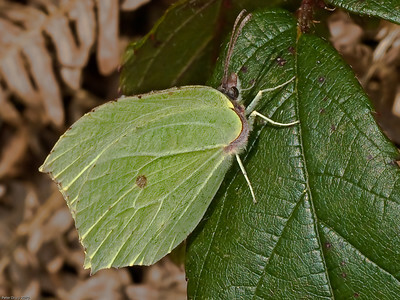 Brimstone (Gonepteryx rhamni). Found in the southern half of the United Kingdom. These may live for 13 months (one of the longest living butterflies). 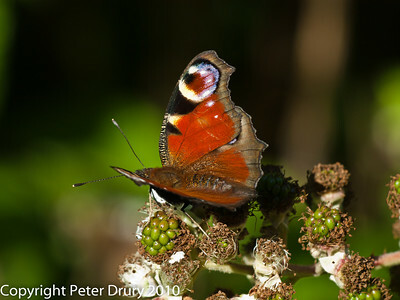 They hibernate over winter but may be seen on the wing as early as January on a warm sunny day. 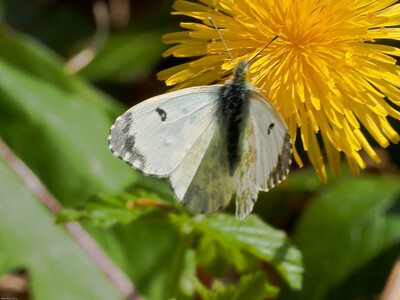 Orange Tip (Anthocharis cardemines). This is the female which lacks the orange at the wing tips. 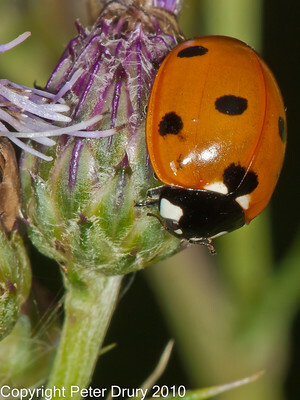 Adults may be seen late March - June. 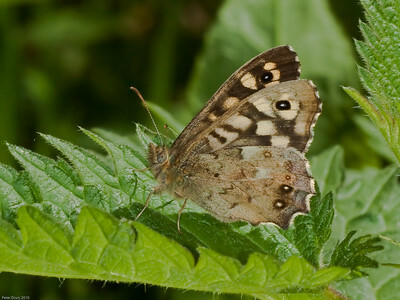 Speckled Wood (Pararge aegeria). 2/3 broods per year. May be seen late February - early October. 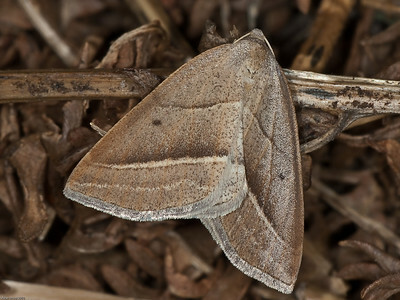 Brown Silver-line (Petrophora chlorosata). 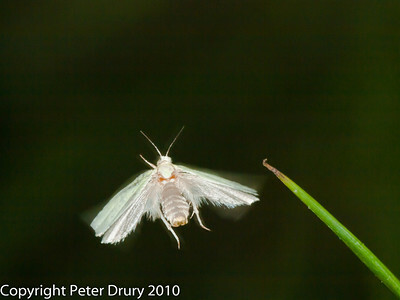 This moth flies from the end of April to the end of June. 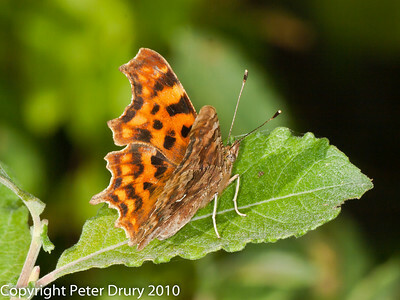 Comma (polygonum c-album). 2 broods and hibernating adults each year. 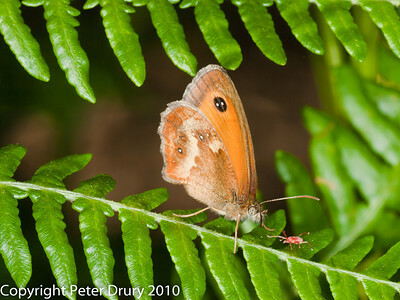 Flight period March/April (from hibernation), May/June and again July-August Gatekeeper (Pyronia tithonus). Flight period early July/early September. Peacock Butterfly (Inachis io). Adult hibernates. Flight period March/May (from hibernation) and June/August. 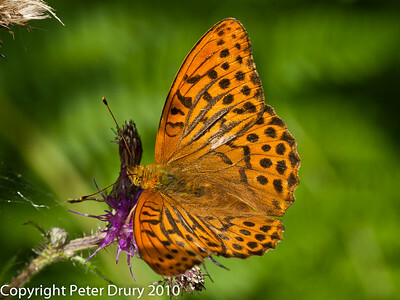 This can slip a month depending on weather conditions Silver-washed Fritillary (Argynnis paphia). Flight period Late May/September. 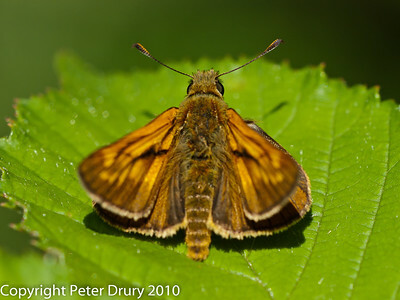 Small Skipper (Thymelicus sylvestris). Flight period Late May/July. 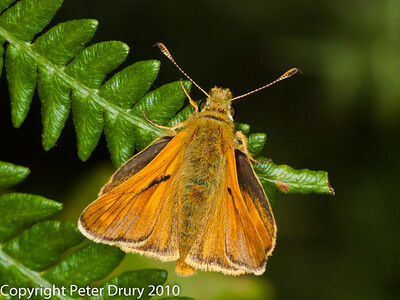 Large Skipper (Ochlodes venatus). 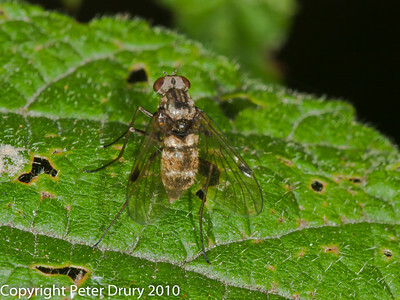 Flight period June/August Water Veneer (Acentria ephemerella). 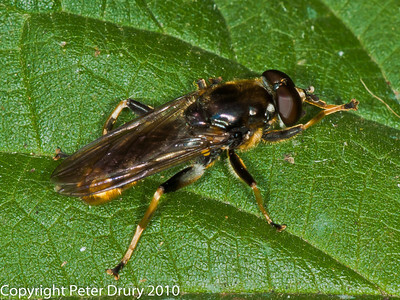 Episyrphus balteatus. 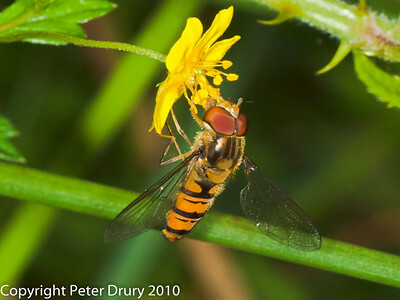 A hoverfly Xylota segnis. 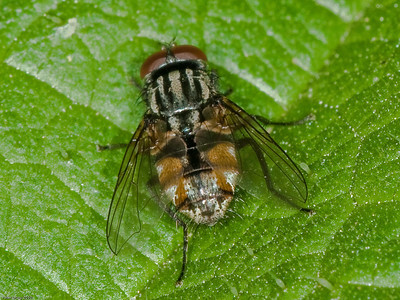 A hoverfly Chrysopilus cristatus. 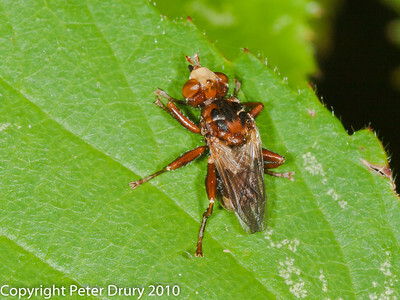 Sicus ferrugineus. 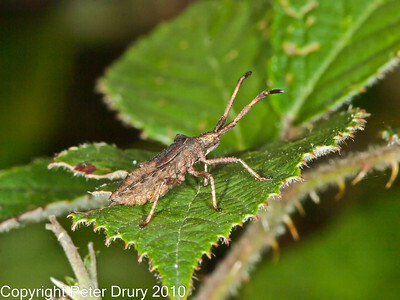 Scaeva pyrastri. 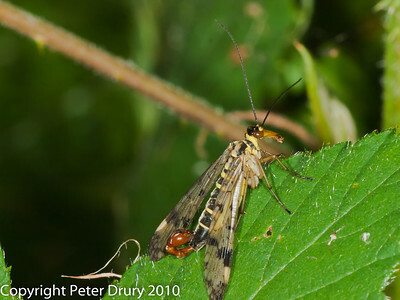 A hoverfly Scorpion Fly (Panorpa sp.). 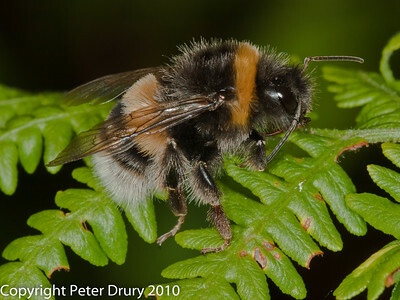 So named because the male's abdomen tail looks like that of a scorpion (It's harmless though!) 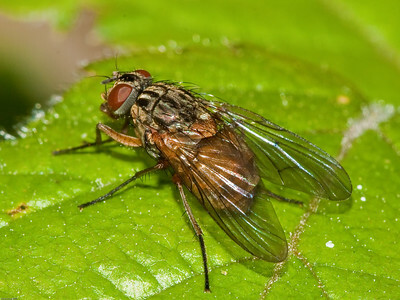 Phaonia sp. Graphomyia maculata. 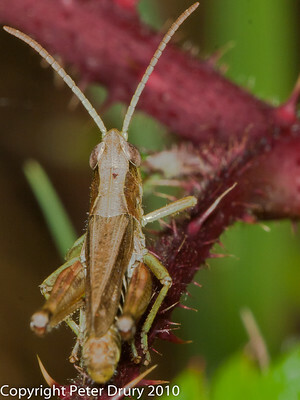 Field Grasshopper (Chorthippus brunneus). 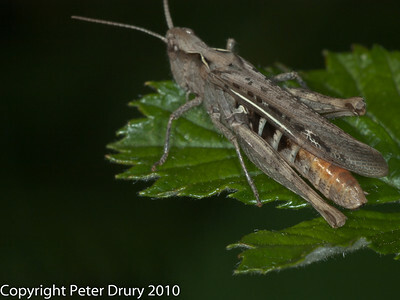 Meadow grasshopper (Chorthippus parallelus). 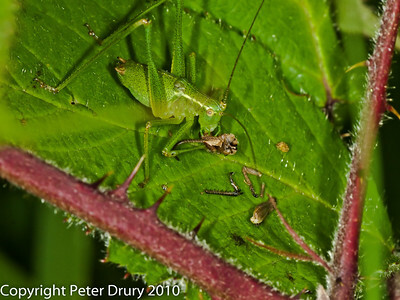 Speckled bush cricket (Leptophyes punctatissima). Eating a grasshopper. 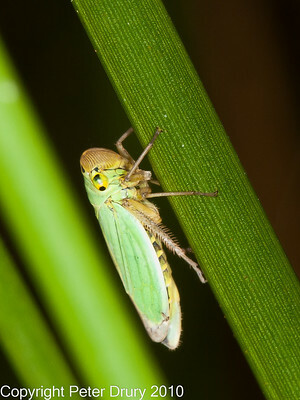 Coreus marginatus - nymph Leafhopper (Cicadella viridis). 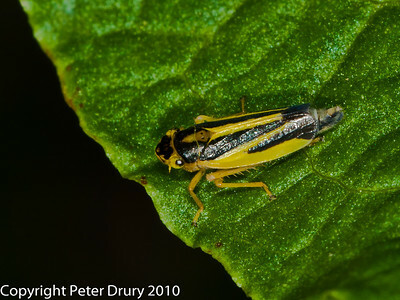 Leafhopper(Evacanthus interruptus.) 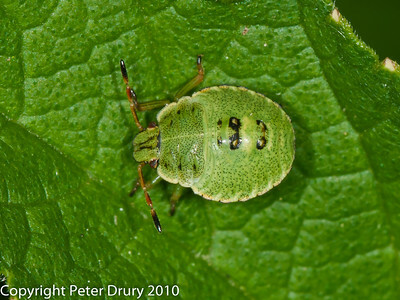 Green Shieldbug (Palomena prasina). 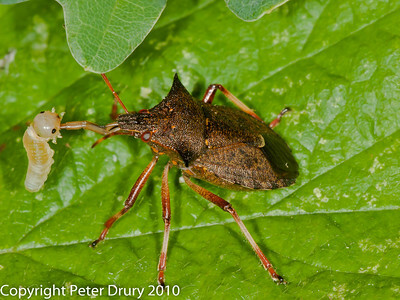 Shieldbug (Troilus luridus). 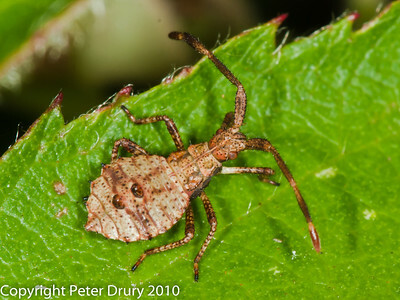 Mid instar nymph. 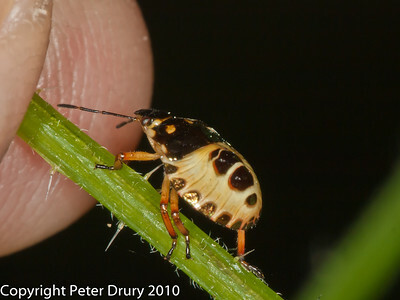 Coreus marginatus. 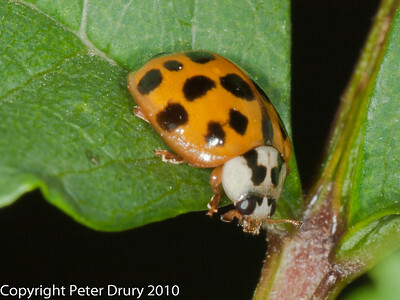 Late instar nymph. 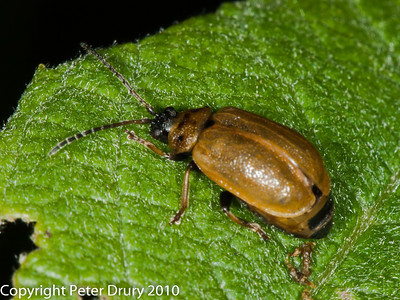 Picromerus bidens. 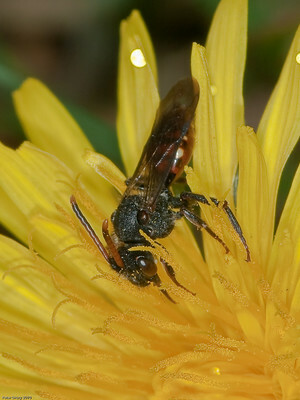 Seen here consuming a sawfly larvae. 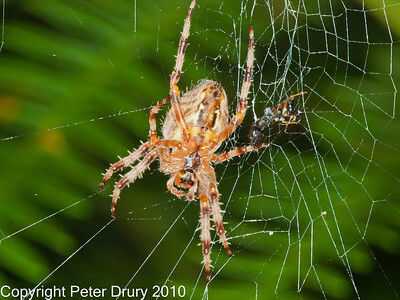 Garden Spider (Araneus diadematus) Young Enoplognatha ovata. 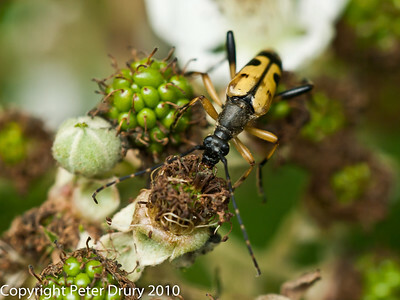 Seen here with its recently captured Tenebrionid beetle prey. 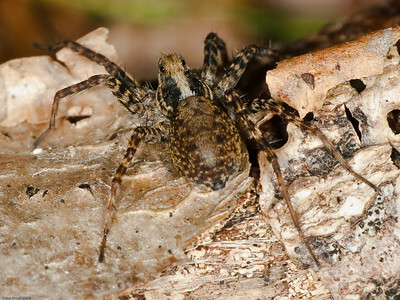 Wolf Spider (Pardosa lugubris) - female. 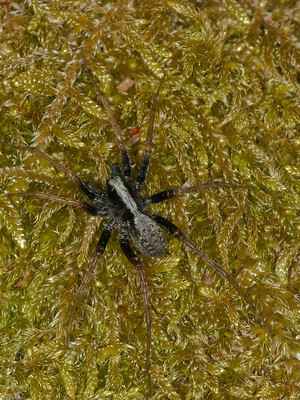 Wolf Spider (Pardosa lugubris) - male.